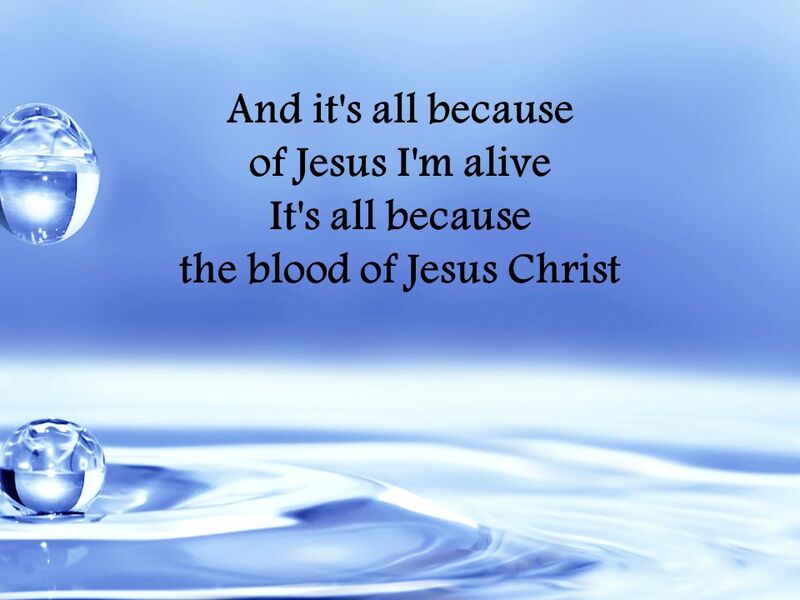 All Because Of Jesus. 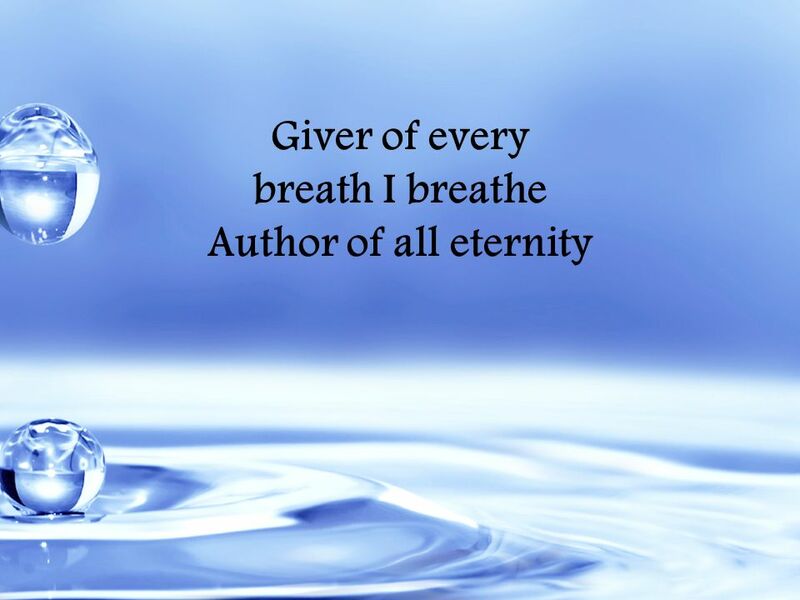 Giver of every breath I breathe Author of all eternity. 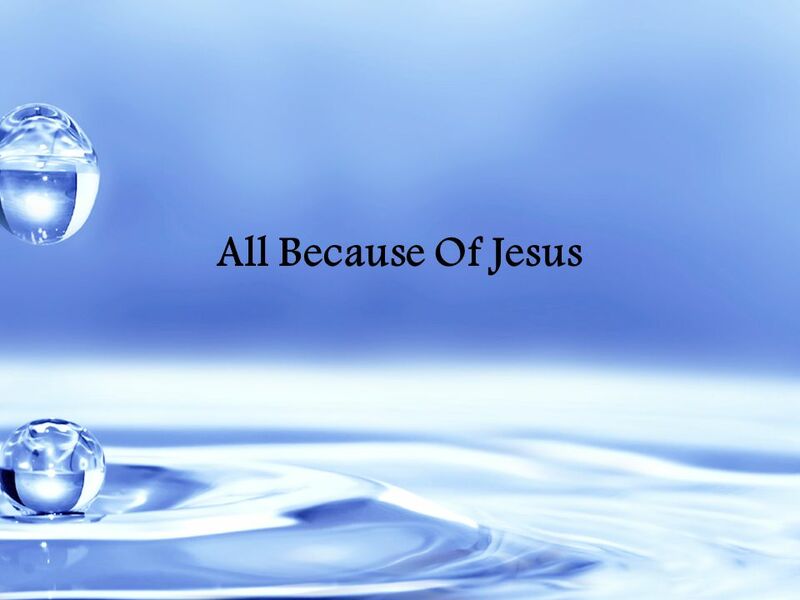 Download ppt "All Because Of Jesus. 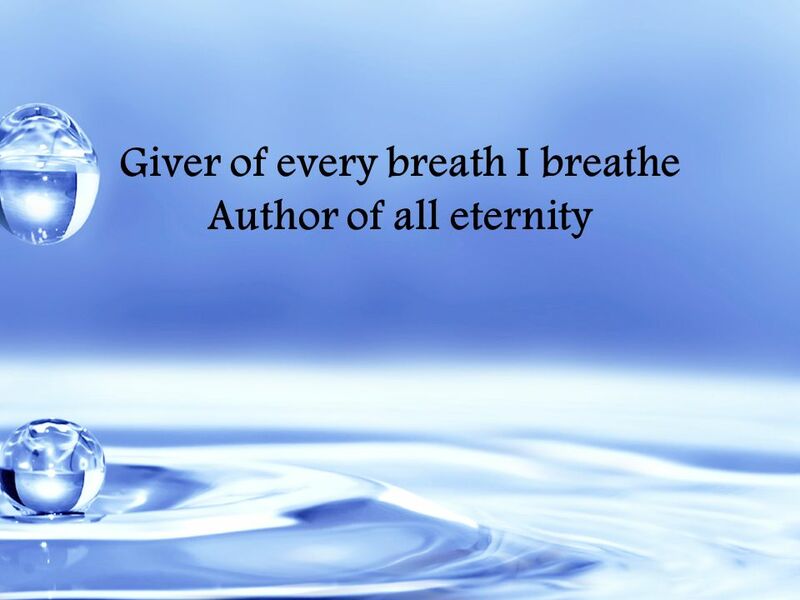 Giver of every breath I breathe Author of all eternity." We believe in God the Father We believe in Christ the Son Men Women Echo Men Women Echo. Searching the world the lost will be found. in freedom we live as one we cry out. I’M FREE I'M FREE I'M FREE, I'M FREE I'M FREE TO BE THE SERVANT OF THE LORD I'M FREE, I'M FREE I'M FREE TO BE THE SERVANT OF THE LORD HE TAUGHT ME HOW. Open My Eyes Words and music by Eric Chou You are the Holy God Nothing compares to who You are King of the heavens and the earth Savior of matchless worth. Welcome. Tonight’s Agenda *7:00-7:15 - Fellowship *7:15-7:30 - Pray & Eat *7:30 - Welcome *7:35-7:45 - Worship *7:45 - Hand out awards. 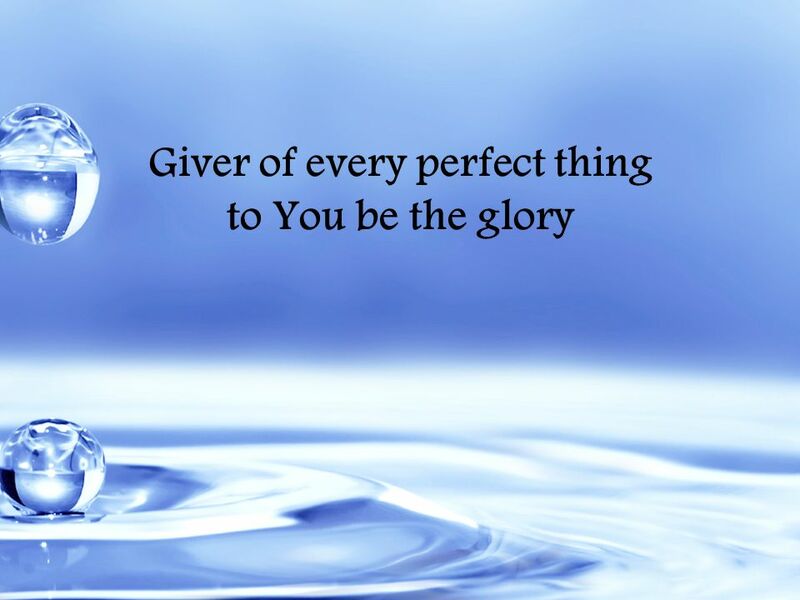 All Because of Jesus Giver of every breath I breathe Author of all eternity Giver of every perfect thing To you be the glory. 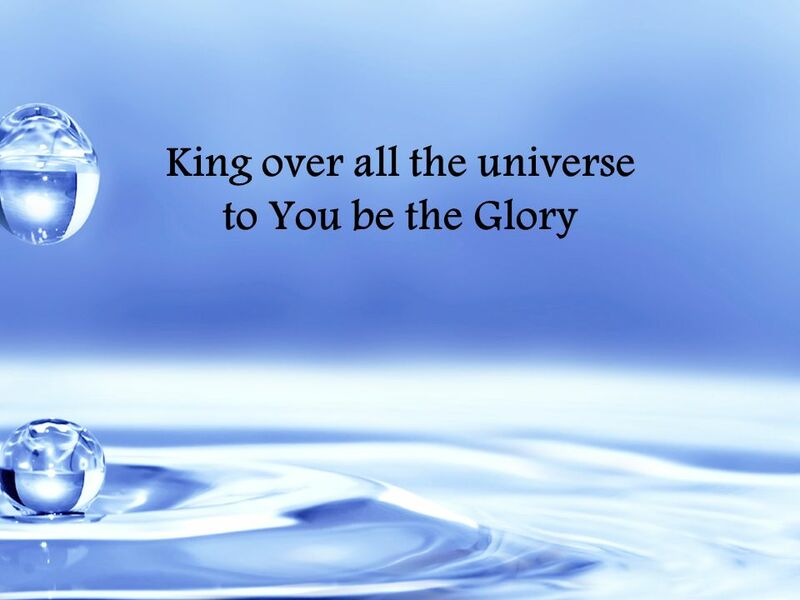 Giver of every breath I breathe Author of all eternity Giver of every perfect thing To you be the glory. My Redeemer Lives I know He rescued my soul His blood has covered my sin. I believe. I believe! My shame He’s taken away My pain is healed in His name. To the Lamb that was slain power, wealth, wisdom, strength to the lamb to the Lamb to the lamb to the Lamb. 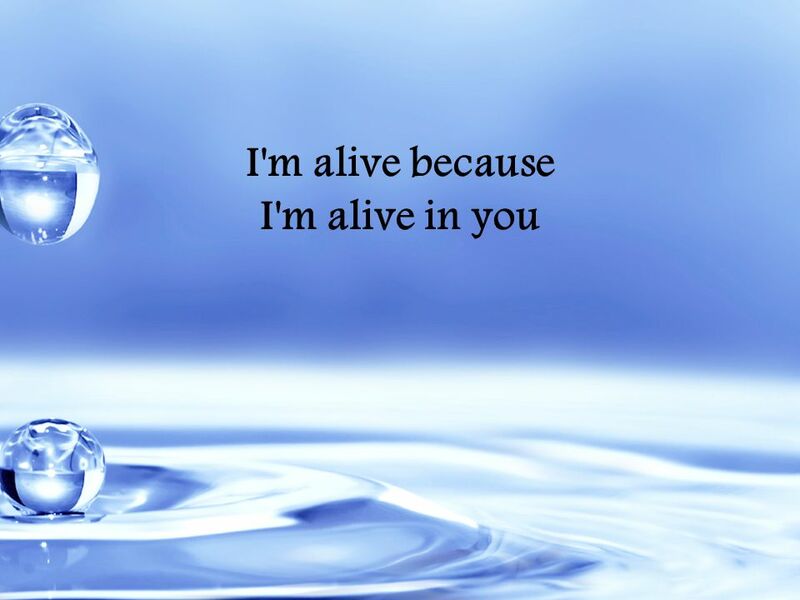 Your Grace Is Enough Great is Your faithfulness, oh God You wrestle with the sinner's heart You lead us by still waters Into mercy And nothing can keep. 1. Sing Hallelujah to the Lord, sing Hallelujah to the Lord. Sing Hallelujah, sing Hallelujah, sing Hallelujah to the Lord. Sing Hallelujah to the Lord. 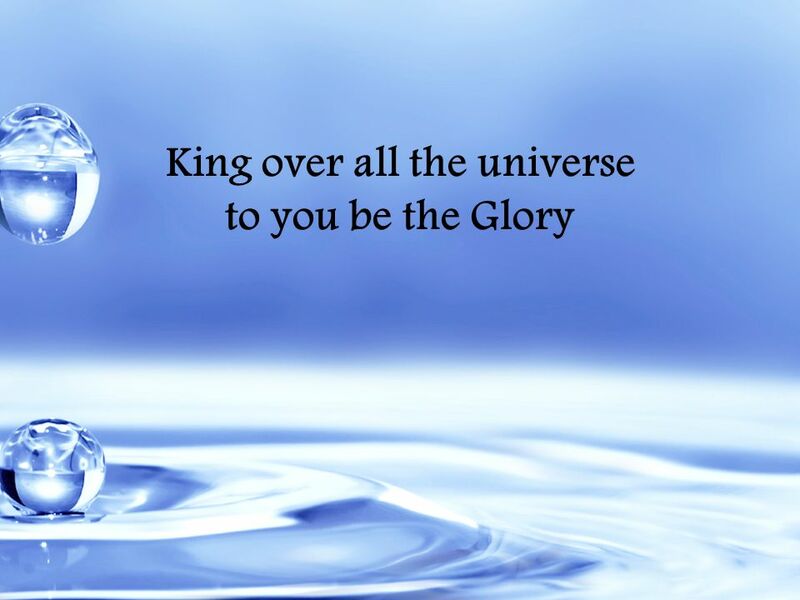 SING HALLELUJAH TO THE LORD Sing hallelujah to the Lord. (2x) Sing hallelujah, sing hallelujah. Sing hallelujah to the Lord. 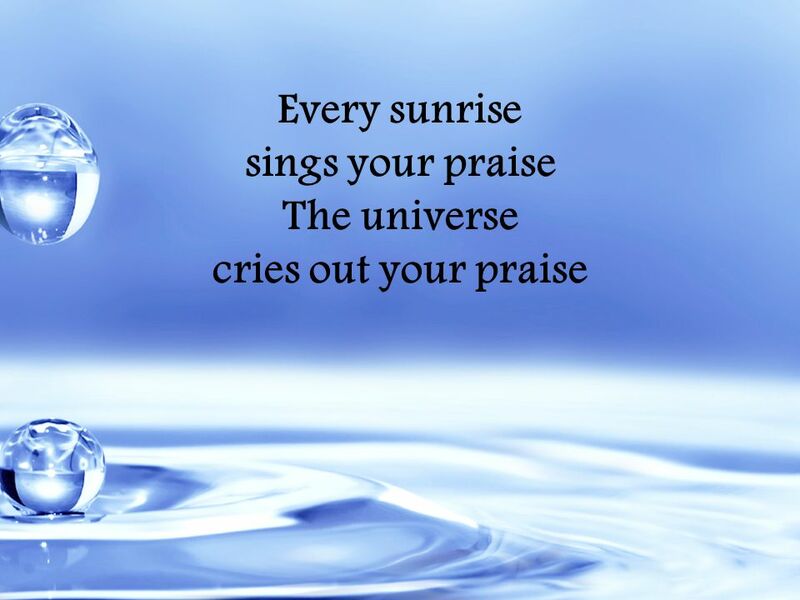 All creation cries to You Worshipping in spirit and in truth.